Neither have I. The photographer captured such an emotional moment... 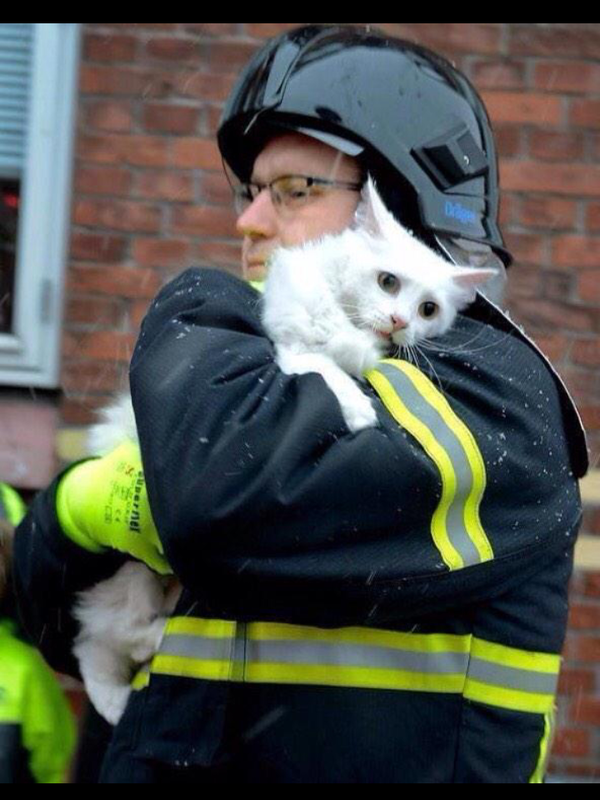 Firefighters are such kind people. I feel like that cat looks.